Newry SDLP Councillor Michael Savage has said that fly-tipping is getting out of control in the city and has called for a clampdown on those responsible. Councillor Savage made the comments as Council staff had to clear two major areas of fly-tipping this week across the city. 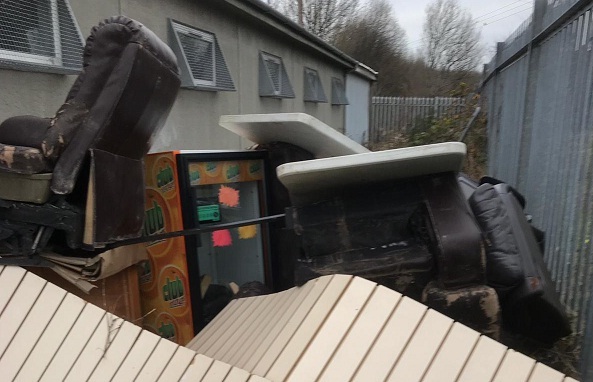 Speaking to Newry Times, he said, “It is time that the people who are dumping their rubbish at will across the city are held to account and I will be pushing for enforcement where fly-tippers can be identified. “I requested Council staff go out to clear the area and they had to bring in a heavy lorry to take the rubbish away such was the size and scale of the items left behind. Councillor Savage said he was also contacted about fly-tipping in the Baggot Street/Sandys Street area of the city. “The front garden of an empty boarded up premises on Sandy Street was full to the brim behind the garden wall and was starting to attract vermin. “It appeared to be household waste that was being dumped at will. This is a main entry point to our city from South Down and this eyesore was what greeted people coming to our city. “Council staff went out and cleared the area and I have asked that the area is monitored on an ongoing basis to ensure the fly-tippers are caught and held accountable.